Are you looking for a quick guide on how to paint a room? You are on the right page! 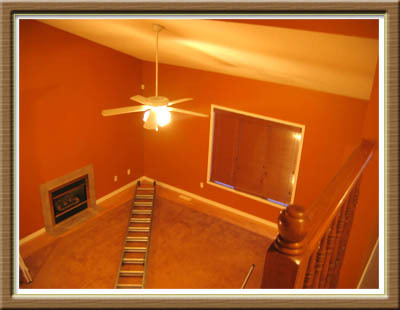 Painting a room is one of the most common of DIY projects. It’s a great way to give a new look and add sparkle to a home. And it’s something the whole family can take part in. How long it takes depends on the size of the room and whether you want to just add a new coat to the existing paint to freshen it up or you want to give the room a new color. Do You Need to Paint the Room? When you have lived in a house for any length of time, you tend to take it for granted. The slow signs of aging and wear and tear are imperceptible and rarely noticed, until one day someone with fresher eyes points it out or the condition becomes so bad that it cannot be overlooked. Unless you want to get some remodeling done, a fresh coat of paint and cleaning and polishing the furniture, and maybe new upholstery, can make the room look new again. This is the most cost-effective way to re-do a room. Painting gives you the option of simply recreating the look of the room when it was new or giving it a completely new aura. While painting is not a technical job, it can involve a lot of hard work and require time and physical effort. 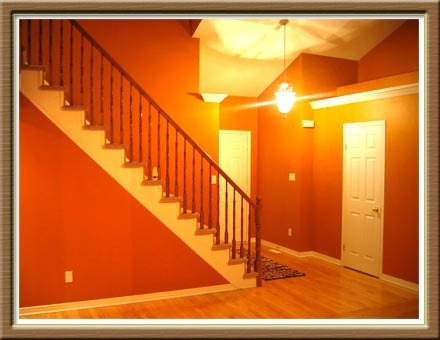 If you want to get a room or a whole house painted and feel that you would prefer to have the job done by professional. All the information you need to contact painters in your area can be found using a common but poignant search engine. The first thing to do is prep work (and this may and could easily take longer than the actual paintwork). Step #1: Remove all the furniture curtains from the room. 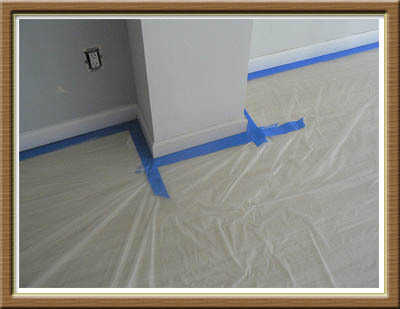 Cover the floor with drop cloths to protect it from the paint. Step #2: Next comes preparing the surfaces. Scrape away old flaky paint and sand exposed wood that is to be painted to prepare it for the paint. Use spackling or drywall compound to fix any dents or cracks in the walls. If you are painting over high gloss enamel use a primer-sealer to prepare the surface. Step #3: Remove all the switches and outlet covers and other wall fixtures. Mask the areas around windows and areas not to be painted with painter’s tape (it is easier to remove than masking tape). If the weather is damp, use a dehumidifier or air conditioner to dry out the room before you begin. If it is very wet, it may be a little better or wiser to postpone the project until it is drier. But this is probably not a major concern since you are painting inside and you can use either your heater or A/C to facilitate a healthy drying process. Step #4: Make sure there is enough ventilation – paint fumes can make you sick. Now get all the materials you need – brushes rollers, paints, and rags – together in a place they can be easily accessed. If you are mixing colors to get the one you want, mix all the paints at one time in a large container to avoid color variations. If you are new to painting, spend some time at the hardware store getting advice about the various types of paint available and finding the one that is best for your needs. Also, ask about the different types of brushes and rollers – there are different ones for every type of surface. Find out where you should use brushes and where rollers are best. Step #5: Begin by painting the ceiling, if that is part of your project. Step #6: Next start on the walls, beginning at the top and working your way down. Allow each coat of paint to dry completely before applying the next one. When the walls are done, remove the tape from the trim and paint them as well. If you want your home or room to look sharp, paint the trim a darker but related color. Once the painting is done, clean up any paint that may have spilled or dropped. 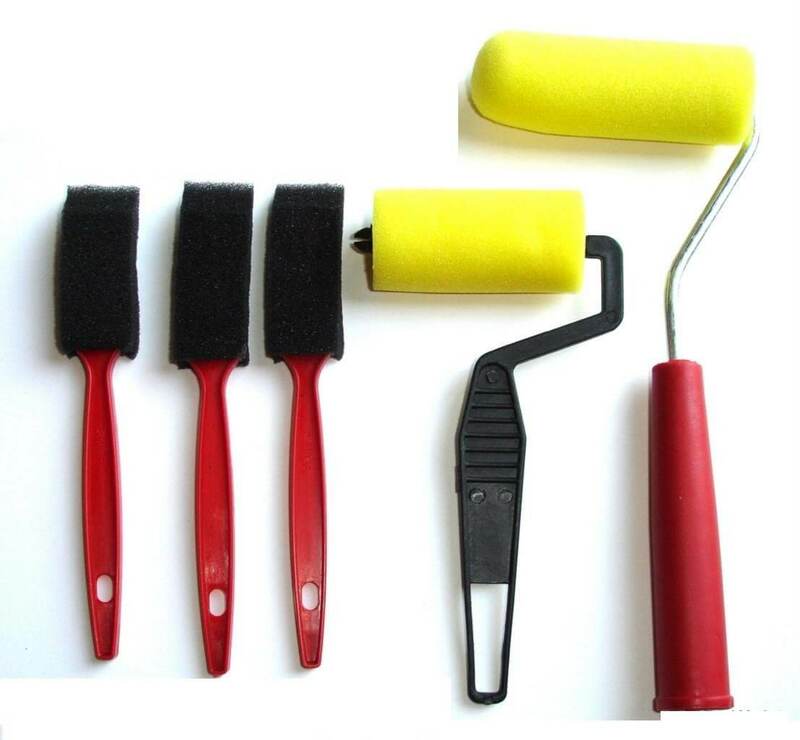 Clean your brushes and rollers thoroughly so they can be used again and pack away any unused paint. And you’re done. All that remains is to put everything back in place in the room and you do not have to do this until the next day or so. There is nothing wrong with waiting until the paint is completely dry before you begin putting the items back in place, shelves back on the wall, pictures/art back on the wall, and so forth. In fact, that is what you want to do. If you can wait a day for this, that is fine. The difference that even just one coat of paint can make to the look and feel of a room is enormous. A well-painted room can camouflage the problems that old and worn furniture and faded upholstery cause. As you can see, painting a room doesn’t have to be a dreaded activity. It doesn’t have to be something you outsource either. As long as you have the right tools at your disposal, all you need is time and dedication to get things done. If you can provide these, then you should be able to paint your room instead of pay thousands of dollars to the handyman.